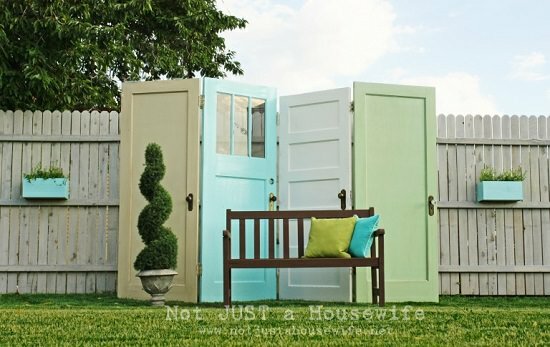 If you’re thinking about Using Old Doors in the Garden, these old door ideas are worth looking at! 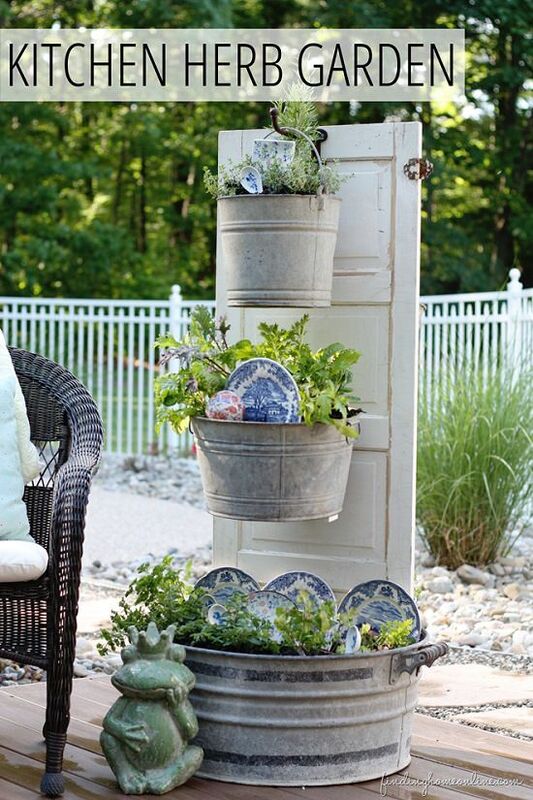 Repurpose an old cottage door into this ultimate door planter rack using just a few hooks, screws, tin cans and planting essentials. The directions are here. 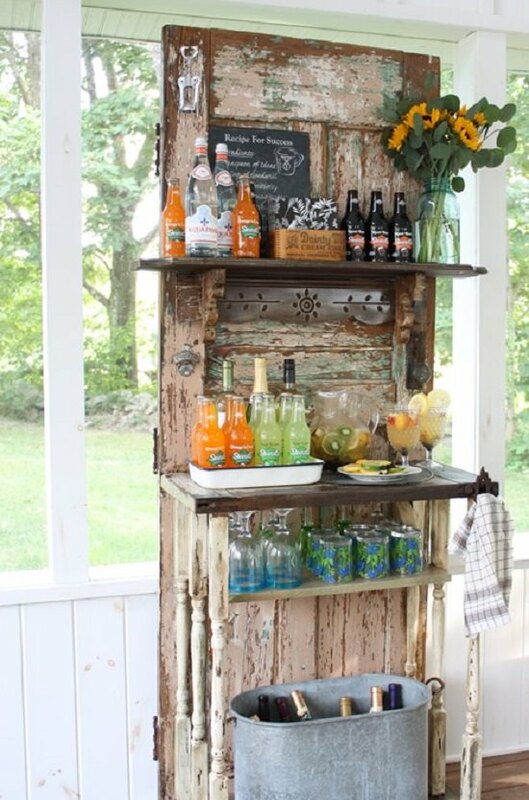 Create a functional beverage station for any house party or gathering by upcycling a worn-out door! It adds a vintage charm to your festivity. The detailed post is available here. Learn how to build a smart screen door for your home with this easy tutorial. You must have some knowledge about woodworking before proceeding to attempt this DIY. 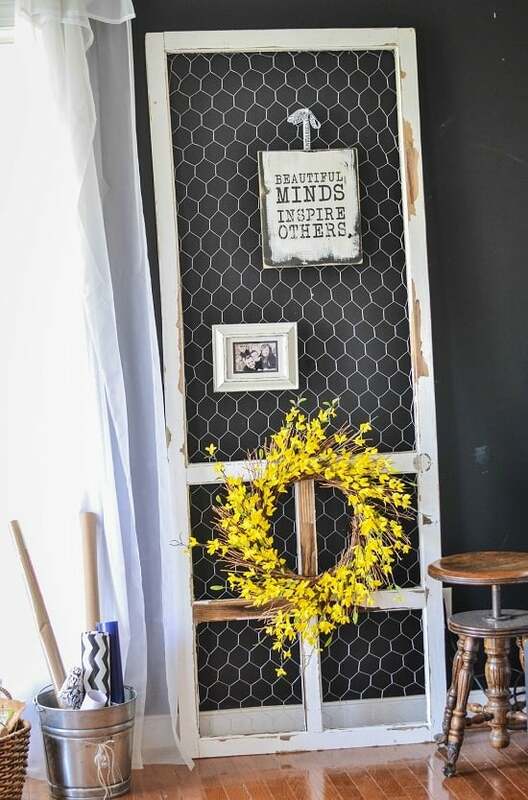 Make this chicken wire screen door using an old entry and some tools! Use it to clip pictures or messages or attach sign frames using ribbons. Find the detailed How-to post here. 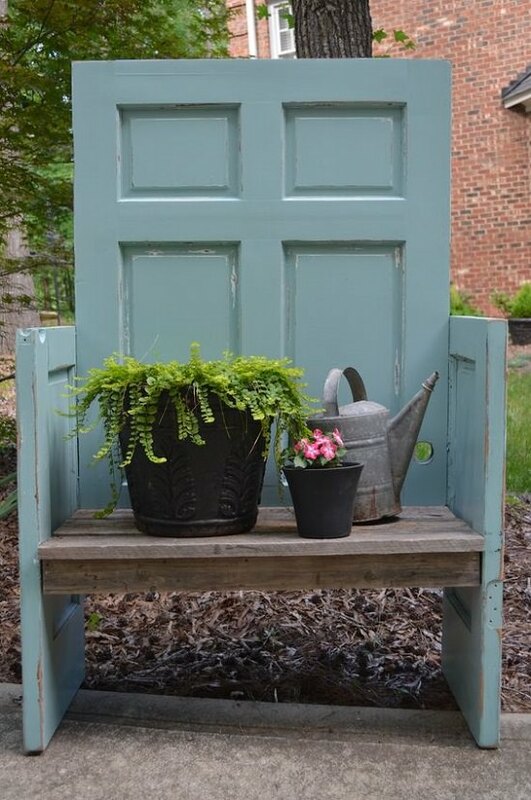 Paint a frayed door in a vintage fashion and attach a window box and your door planter will be ready to flaunt! We found the idea at Home Talk. 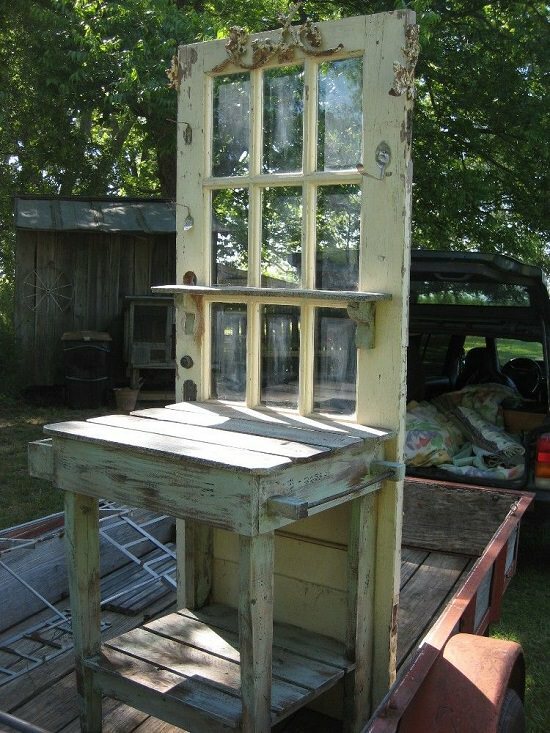 Old worn-out door transformed into a very functional and rustic trashcan screen. The step-by-step tutorial is available at Home Talk. This privacy screen is not just practical but looks attractive and straightforward as well. It’s made using four old doors. Get the detailed article here. 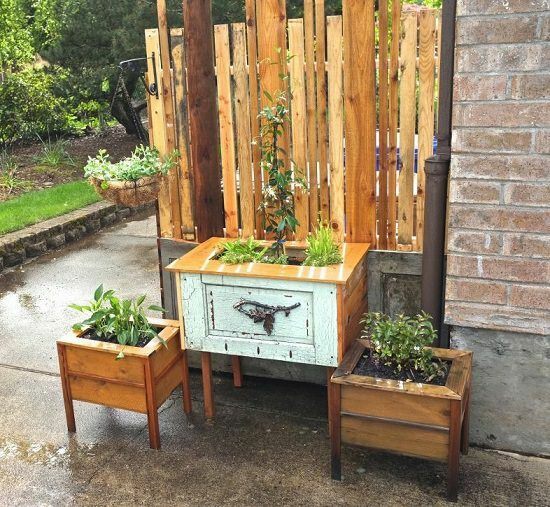 This sturdy potting table can do a great job of keeping your garden or patio clean and reducing your planting time. 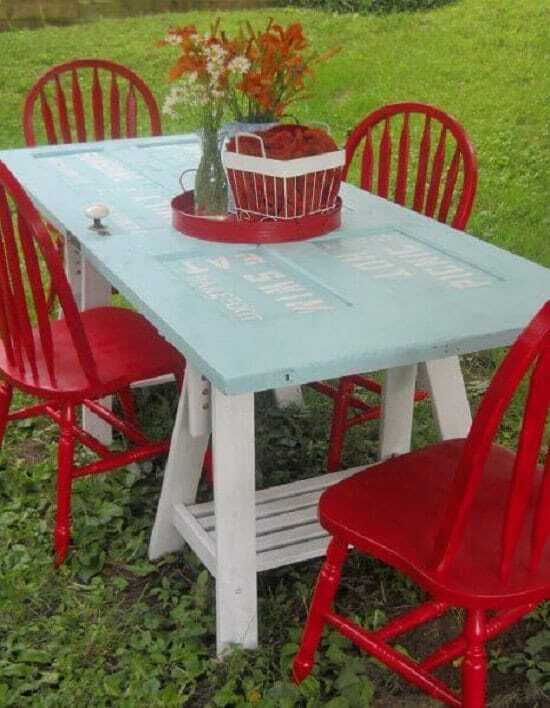 There are several other ways to use this door table, find more here. 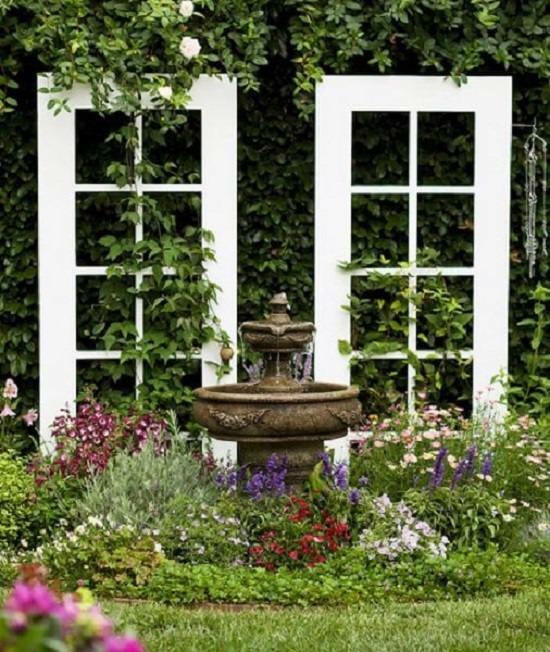 Rejuvenate two old doors to create simple looking yet functional garden trellis for your climbers. We found the idea here. 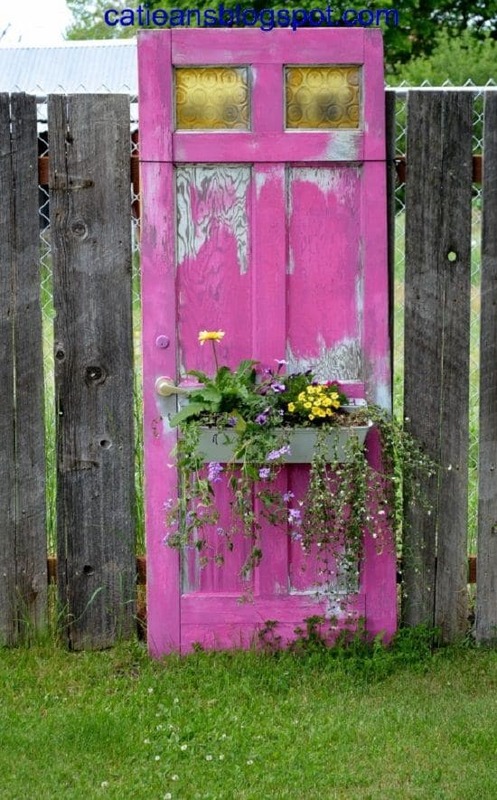 What a brilliant way to repurpose an old door! 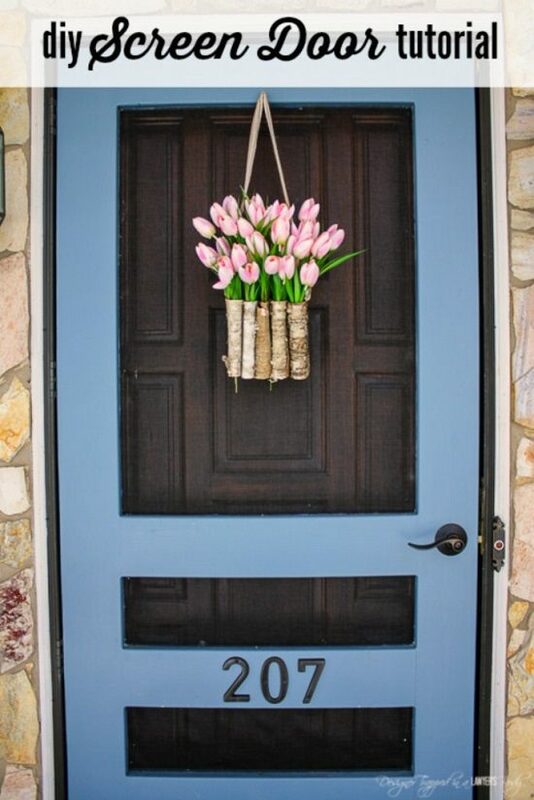 Simple paint the door according to your choice and follow this step-by-step tutorial here. Make use of a vintage door to add classic charm to your wedding feast and decoration. 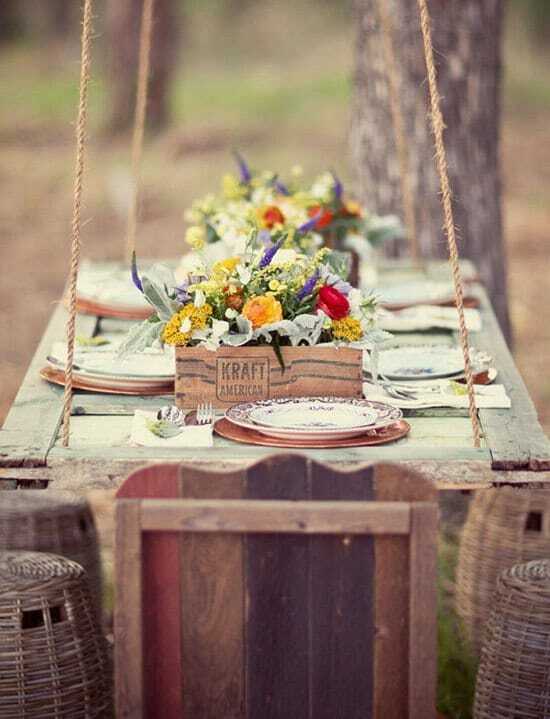 Hang the door using strong thick ropes to any attachment point in your garden and further decorate the new tabletop with flowers and other essentials. The concept of this door table is simple and similar to some other DIYs on this list. Get the directions here. 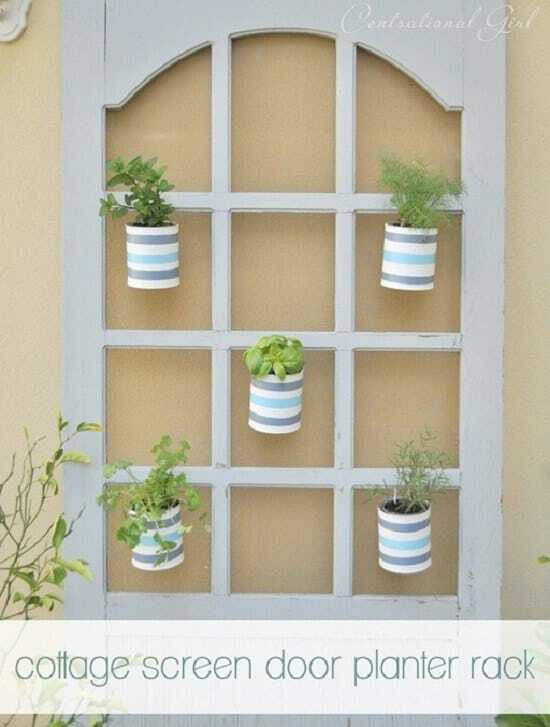 When it comes to things to do with old doors in the garden, this herb garden idea worths a try. The tutorial is available at Finding Home Farms.